Come to the Snow Mountain Wilderness of California for a “hike into the past” this summer! 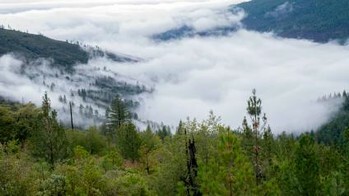 The Snow Mountain Wilderness Area is within the Mendocino National Forest, in the northern end of the newly-designated Berryessa Snow Mountain National Monument. The region has a rich archaeological history, dating from the early prehistoric through the historic periods. Known sites in the wilderness include prehistoric base camps, task sites in the upper elevations, and winter villages in the lower elevations. Volunteers and FS staff will perform “pedestrian reconnaissance” to identify and document archaeological sites. Documentation will include site mapping, photography, GPS, use of standard site forms, measurements of site features, and environmental descriptions. Evening activities may include visits to known archaeological sites, and flint-knapping demonstrations or other cultural programs hosted by local Tribes. We hope to see you in June!